Update: This method also works in Windows 10 OS. I personally tried this method in windows 10 to recover shift deleted videos and some other data. This method is working fine on new Microsoft Windows 10 machines. First, check whether you are using 32 bit or 64-bit architecture. If you don’t know how to check architecture of your PC, then ask about this in comments. 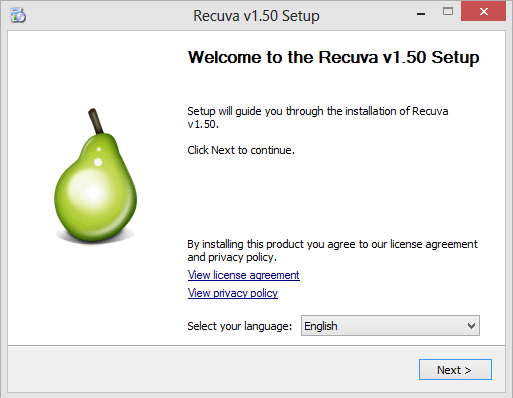 If you want better performance, then download the 64-bit Recuva software. There are many software’s to recover deleted files in Windows 10/8.1 after shift deleted. check out the best software to get back permanently deleted files in Windows. Video to Recover Shift Deleted Files. Hint To get 100% recovery of files: As soon as you shift deleted folders or files do not copy or cut or paste any folders, files videos. Please follow the below procedure to get your files and don’t forget to comment and share this article. 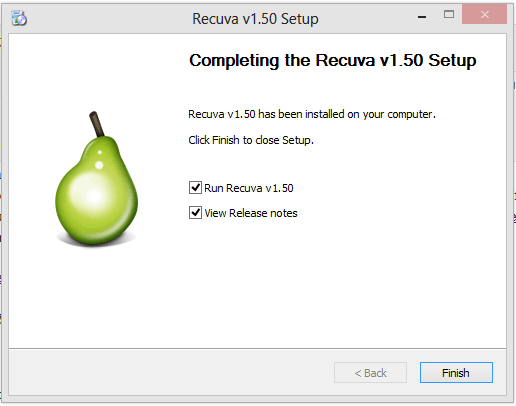 1) Download the free version of Recuva software. 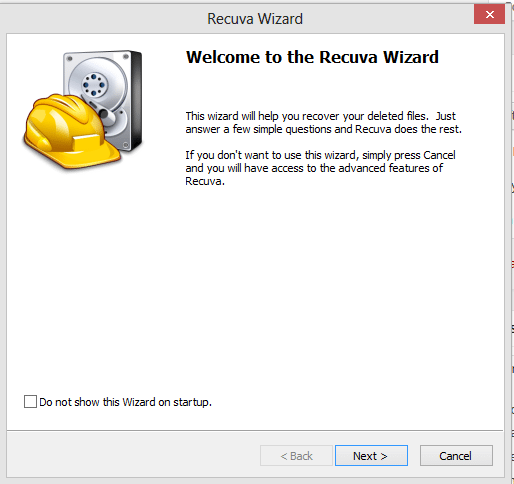 Click the below link to Download Recuva. 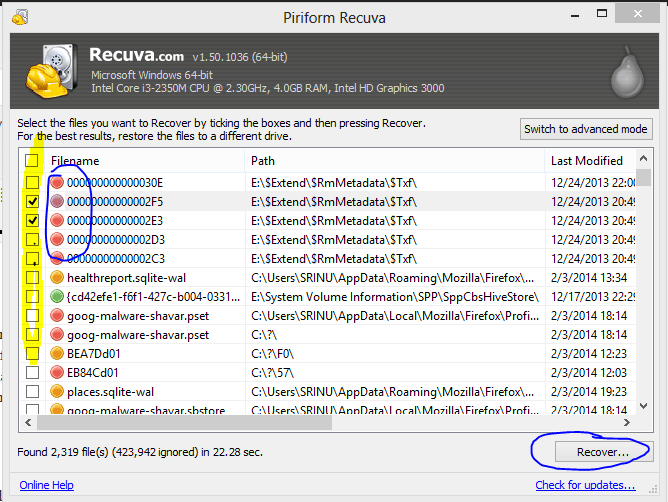 2) Double click on downloaded Recuva file you will see a window like below just click on next. 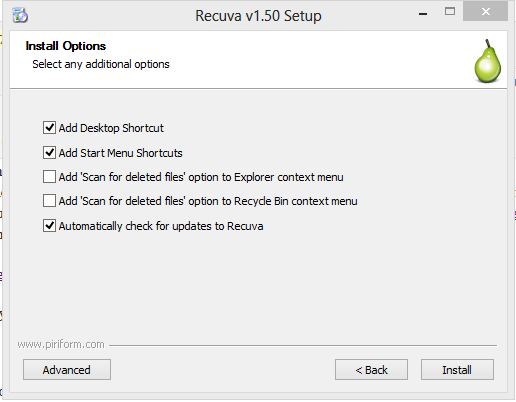 You will see a shortcut of Recuva on your desktop. Just open it as soon as you double clicked on it, you will see a new window like below. Blindly click Next. In the same window, you will see all the options like below in the figure just put your tick mark on all files and again press next button. After pressing next button now, you will window like below here you have to be careful choosing the appropriate option for you. If you want to recover deleted files from Pen drive or Memory card or External hard disk, just connect those devices, and you will see that device and select that device. If you want to recover files from the only particular location or particular partition, you can choose that option. Select the appropriate option and click next option, for now, I am choosing all places ( I am not sure ). After this, you will see another option enable deep scan like in the below image. Don’t put tick mark there if you put a tick mark there then it will take so much time to scan all your deleted files. So, blindly click Start. Then you will see a progress windows after few minutes or seconds you will see another window like in second image here you will see some color dots before files name. If you see the red mark, then you cannot recover that data, if it is yellow chances are little, green means you can get back that file. 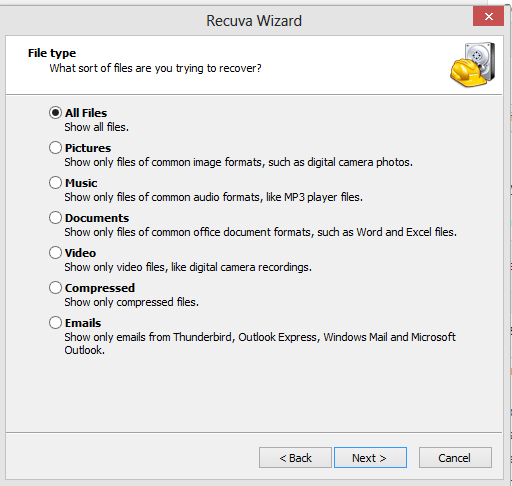 Put tick before the file name and click on recover to get that file. 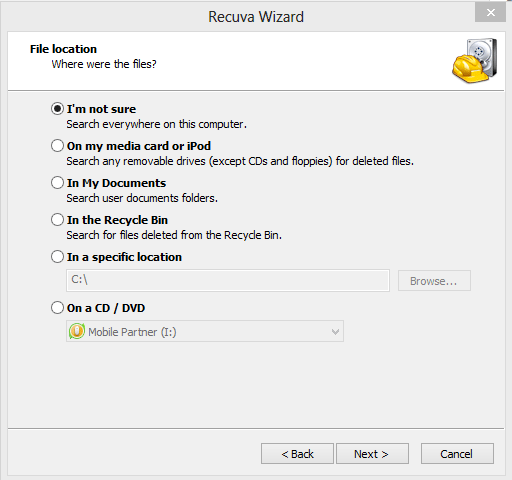 After clicking on recover, you will be prompted to choose a location to get back files just select anyone and click on OK. You will see that files in selected location. Thanks for reading my tutorial. Don’t forget to share this. By using this method, you can recover permanently or shift deleted files, or you can get back shift deleted files from formatted hard disk, Pen Drive, Memory Card.